September 2012 brings prestigious awards and distinctions to TME. 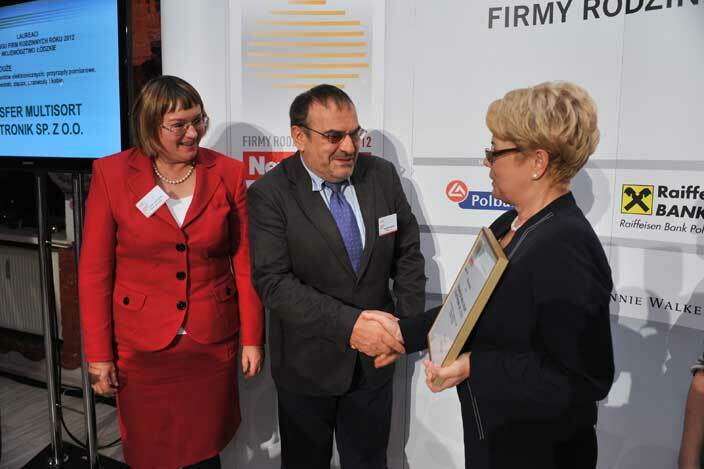 This time, the company has become a winner of the 2012 Family Companies Competition in Łódź Region in category of big companies. 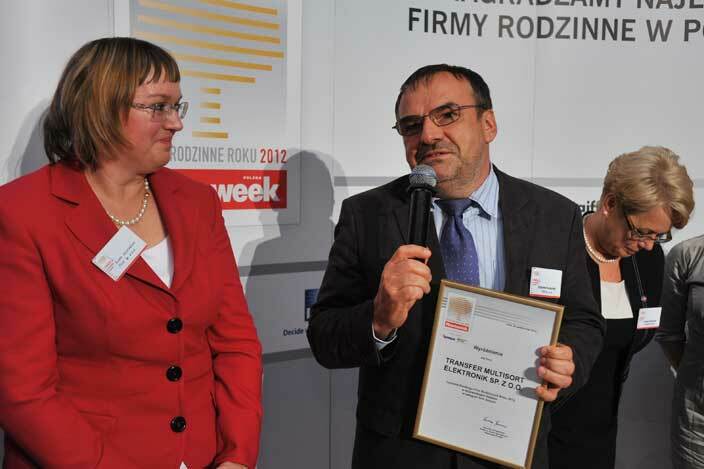 During the ceremony that was held on October 24, the award for TME was given by the Governor of Łódź Region, Mrs. Jolanta Chełmińska and ceremony patrons representatives. On behalf of the Company, the award has been collected by the President of the Company, Mr. Zbigniew Kuczyński and his wife. 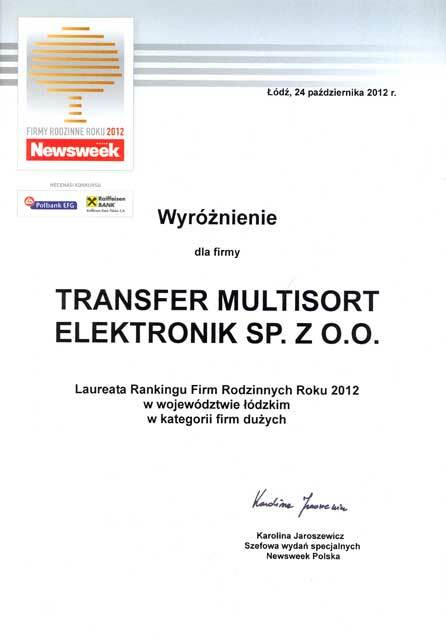 Family Companies Ranking has been prepared by Newsweek. Its purpose is to select the fastest growing and most dynamic family businesses in Poland. Companies valuing friendly atmosphere and stability are awarded as well. The ranking presents winners split into regions and four size categories: micro, small, medium and big companies. Thank you very much for this important distinction!